The Churchill Club is a registered New Zealand Chartered Club, operating from 259 Riddell Road, Glendowie, Auckland. The Club formed more than 60 years ago, based first from a garden shed, then from the local boating club rooms, before members eventually pooled their resources and acquired the land whereon the Club currently sits. The club enjoys a diverse membership of more than 450 individuals and families from Auckland’s Eastern Suburbs.The views are fantastic, overlooking the Tamaki Estuary towards Buckland’s Beach and Musick Point, and is brilliant at full tide or in an easterly wind when the kite surfers avail the conditions. The club is open seven days and we welcome visitors from other clubs or new members. Special events are regularly held on Sunday's. Visitors must be signed in by a member to comply with New Zealand’s licensing laws. Ask one of our members, we are sure they will be happy to assist. 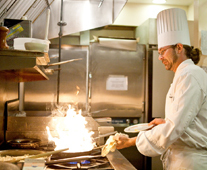 Our A La Carte restaurant operates on Tuesday, Thursday and Friday nights from 6pm. Check out the sample menu on this website. A Bar menu is offered on the other nights of the week. 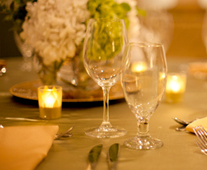 Use the ask the chef tab should you wish to make a booking or have any special dining requirements. 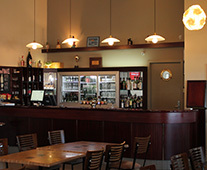 Our bar boasts a fine selection of draught and bottled beers, wines and spirits. Pool tables and Dart Boards keep our members entertained while visiting our fabulous facilities here. 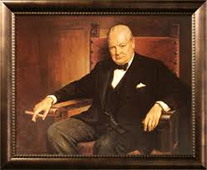 The Churchill Club was officially incorporated on 7th July 1950. Over the years the club has been developed to service the needs of the ever evolving local community. We are proud supporters of local charities and events with a family oriented focus. The Churchill Club has a large bar area with restaurant facilities. The Club boasts some fantastic views both from the club rooms and the large deck area outside. Ideal for a relaxing refreshment while catching up with friends.